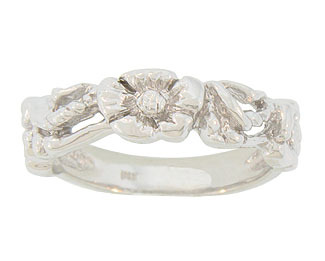 Five-petaled flowers grace this 14K white gold antique style wedding band. 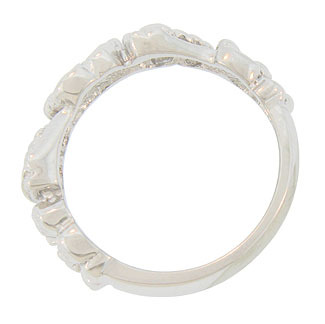 The Art Nouveau style design decorates just over 1/2 of the rings circumference. 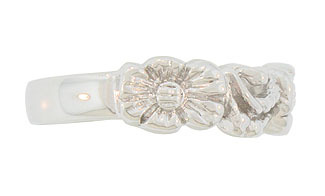 The wedding ring measures 5.7mm in width. 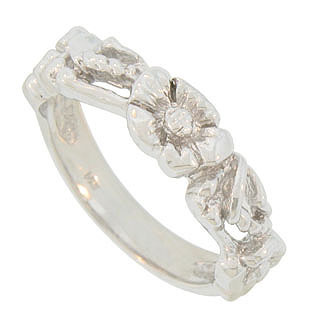 Also available in yellow gold. Size: 6. We can re-size.